Jim enjoys talking about Nite Guard Solar. This should come as no surprise, since he, along with Betty, invented these predator control lights, after all. When we welcome a new member to the Nite Guard family, Jim likes to deliver a presentation on the 5 key points of Nite Guard Solar. Here are the 5 things you need to know about Nite Guard Solar lights―straight from Jim and his presentation. Nite Guard Solar, as the name implies, is a solar powered, nighttime animal repellent using daylight, or sunlight, to power itself. The unit produces a red LED flash of light using energy provided through a solar panel that is highly efficient and reliable. Nite Guard Solar is skillfully engineered, turning on automatically each night, responding to low light; it is not motion activated. There is no maintenance, nor an on/off switch; and because it turns on automatically, and has a range of ½ mile or more, it will stop animals the instant they see the flash. They do not come in to investigate. The flash of Nite Guard Solar targets an animal’s most primitive instinct, self-preservation, commonly known as “fight or flight”. They will flee an area where they sense that threat. Nite Guard Solar is an all-season unit, being protected against extreme weather conditions, and will last for an average of 3 years or more when used continually. There is a 90 day full money back guarantee, and a 1 year warranty against mechanical failure. 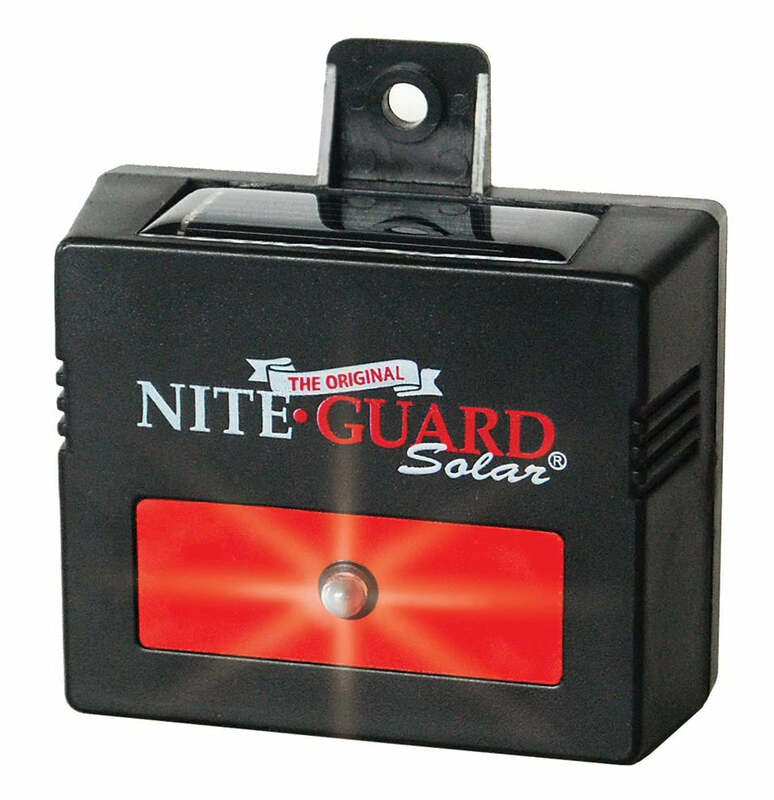 Nite Guard Solar is a dual purpose device, repelling night animals, as well as acting as a security system, protecting property against trespassers and theft. Have questions about how Nite Guard Solar lights can help you? Feel free to contact us by phone at 1-800-328-6647, or send us an email.